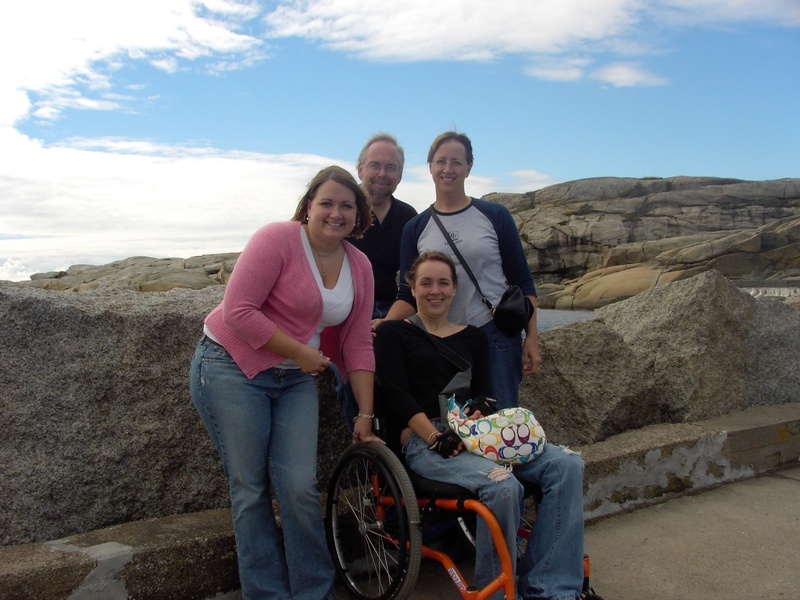 My daughter lost her independence with a C6-7 spinal cord injury—for good, or so I thought. After the car accident, she tapped into a well of hope and focused on the prize of less dependence. Beth, 14, left inpatient rehab early to start her first year of high school on time in our small Ohio town. She insisted on a manual chair she could barely push, instead of a power chair. Friends sat next to her in class, took notes, handled her books, broke her leg spasms, and left class early with her. I met her at school mid-day and drove her home when the fever of another infection spiked. She needed total assistance with almost everything, including transfers into a car. The beginning of high school and outpatient physical therapy exhausted Beth. Even so, she raised her goal from more to complete independence, against all odds. I admired her persistence, but the bar seemed too high. After the first year of high school, she no longer needed help from her friends. They continued to sit by her in class simply because it was more fun that way. By her senior year, she thrived with a non-stop schedule of school, swimming, friends, volunteering, and mentoring. We traveled to swim meets and she depended on my help for flights. Her stamina and strength continued to increase, bit by bit. At my insistence, Beth started her first year at Harvard College with an assistant. After I left her in a freshman dorm room, she refused to ask for help with any aspect of personal care. With stubborn teenage determination, she pushed herself to do it all, which required a significant amount of extra time and patience. ...In addition to challenging classes and swim training as a member of the U.S. Paralympics National Team. The beginning of college overwhelmed Beth. After the first year, taking care of herself took less time. She competed on the Harvard Women’s Swimming Team and dressed efficiently in her wheelchair in the varsity locker room, sometimes taking an extra minute for the zipper on her skinny jeans. Eight years after her injury, she still needed a boost to get from her wheelchair to the seat of a car. Beth graduated from Stanford Law School and accepted her dream job at a law firm in Washington, DC. I helped with the move to her favorite big city. She wasn't worried about living alone for the first time or the inaccessibility of her apartment. With a stackable dryer on top of a washer, she literally threw wet clothes into the dryer and bent a metal hanger into a hook to get the dry clothes out. The beginning of her new job stressed Beth, but only the first months. Passionate about health policy work, she also volunteered for disability cases. She wheeled several blocks to and from the firm in every kind of weather. And rode taxis and Ubers on her own for dates and other social events. She opened the back door of the car and placed one hand on the back seat. The other hand pushed down on the closest big wheel of her chair to lift her body over the gap. No help needed. Sitting in the back, she lifted her legs into the car and told the driver how to fit the wheelchair in the trunk. A sweet success after a decade of trying and failing to transfer into cars by herself. Today, she often travels on her own by plane for work—and loves to fly with her fiancé to vacation spots around the country and the world. Independence? Priceless. Cindy Kolbe is a Peer Mentor for the Reeve Foundation. She shares more of her adventures with Beth on her Struggling with Serendipity blog at strugglingwithserendipity.com/blog and on her new Struggling with Serendipity Facebook Page at facebook.com/strugglingwithserendipity.